Incredibly powerful brand, with 24% THC content in the resin. 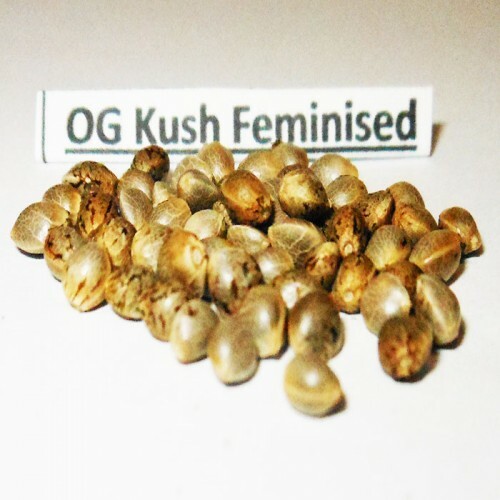 OG Kush has received well-deserved respect among the Western actors and singers. 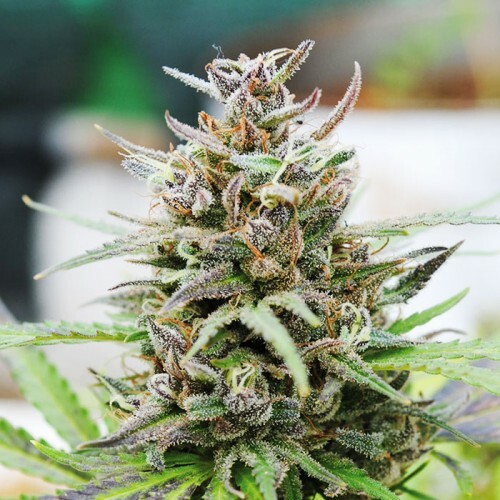 And now, Seed ja provides a unique opportunity to purchase cannabis seeds OG Kush Feminised, so that everyone could feel the phenomenal taste of a legend of cannabis. The variety was bred in the hot California and is now available to rathsmann from around the world. The ratio of Indica/Sativa in this cannabis is 75 to 25 – a great combination to experience all the possibilities of Augie. The bushes represent a larger plant that, when grown outside, can extend up to three meters. Flowering usually takes 55-60 days, and the blossoms are not large. But their number and density promise to get a bad crop output. the observance of correct watering and fertilizing. But believe me, the effort is worth it, what You'll get in the end. No wonder this variety is a legend of cannabis.